The lovely people at Edge of Humanity magazine have published a series of images from my recent trip to Peru. Spanning locations from Lima to Cusco, Machu Picchu to the Sacred Valley, photographs captured during a whistle-stop tour of Peru's colour, contrasts and conquests, can be viewed here. This week, the America's Cup challenge kicked off in Portsmouth, as Ben Ainslie and Team Landrover BAR fight for their place in the 2017 final. I joined the BBC South Today team on Thursday as the action unfurled on the waterways. Working behind the scenes with the production team, my images from the day can be viewed on social media here, and the features tab above. Landrover BAR team member, Matthew Cornwell, talks to the BBC's Tony Husband. Edge of Humanity Magazine have published a series of my portraits - taken during my travels in Asia. Featuring faces from India, Tokyo, Cambodia and Sri Lanka, the images were taken throughout late 2014 and early 2015. The photographs from my Sri Lanka series - "In the aftermath of war" were shortlisted for the Athens Photography Festival 2015. Earlier this month, I headed off to Peru with the Belmond team. Despite having spent a fair chunk of time in Central America, this was my first stint in the South. In a sprightly 10 days, we whistled through Lima and Cusco, up into the high Andes and the peaks of Machu Picchu, through old colonial streets and starkly urban landscapes. Lima surprised me - its new-found energy is palpable, with a buzzing arts scene and a hungry, young population. Very fun. Machu Picchu, despite the anticipated crowds, was enigmatic and enchanting. Only 2,500 visitors are now permitted to visit the citadel each day, leaving plenty of space to get lost amongst the ruins. Whilst it remains one of the most photographed destinations in the world - it will still leave you reeling. Go for the deep blue sky, the spiralling clouds, the panoramic mountain vistas, and the spine-tingling chill of a surprisingly modern history. Whilst I'm not a fan of Angkor, to me - Machu Picchu is in a league of its own. Morocco. Back in September 2012 I found some much needed refuge in the wild coastlines of Agadir, the desert oasis of Dakhla, and the redolent back-streets of Essaouira. Having returned to the enclaves of Europe, after a long hiatus in Asia, Morocco is back on my immediate map. In May, I took the long flight down to the depths of the Sahara, where the road to Mauritania winds into the endless sand. My Sri Lanka series was recently shortlisted for the Athens Photography Festival, opening in June 2015. The APF is the leading photography festival in Southeastern Europe, and accepts submissions from all over the world for its annual open call. My series draws on the aftermath of war in Sri Lanka, as communities jostle with a new reality of peace, amidst lingering political and religious tensions. The theme of this year's festival is "Reframing Memory". The series of images can be viewed here. The Hong Kong in Black & White Exhibition reopens this week at the Tai Yau Plaza in Hong Kong. Featuring images taken throughout 2015, the exhibition revisits the work of Hong Kong photographers shown at the Hong Kong Cultural Centre in October last year. Solely featuring monochrome images, the exhibition includes powerful photographs of a city under siege. 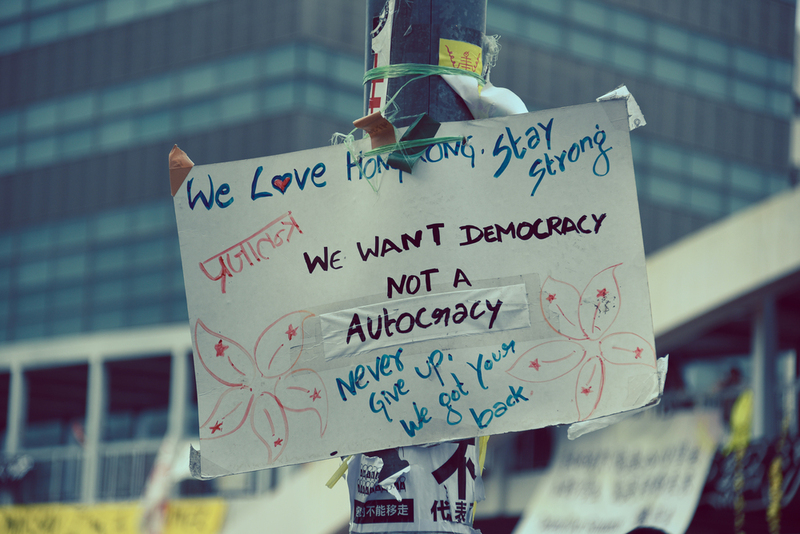 Three of my Occupy Hong Kong photographs will be featured. The exhibition is open 9am - 5pm, and runs until the 25th April. I have been shortlisted for Aurora Expedition's "Official Arctic Photographer", being named as a top 5 finalist in their quest for adventure and expedition photography. Further details about the shortlisted photographers and the competition can be found here. My nominated image was taken last year in Cambodia, down in the Kampot salt fields, about a 3 hour drive south of Phnom Penh. Salt has brought wealth to this province. With over a thousand hectares of salt fields, farmers and their families man the interconnected waterways. The fields were formerly controlled by the Khmer Rouge, and managed as socialist collectives. In today's new and free Cambodia, the fields have harvested significant wealth for their communities. Children now play here: they no longer work. Salt has afforded schooling. "In the shadow of the salt flats". Shot on a Nikon D5100, with a 18-200mm lense (at 32mm) with an F-stop of 4.2. Shot with trigger lighting (ISO 100). The photograph was taken at 5.30pm on 12 July 2014. Holi hit Rajasthan with full gusto on 6 March 2015, as the air was filled with coloured powder, glitter and flowers. With my camera firmly wrapped in plastic and tape, I roamed the streets with my Nikon D750. Unlike the enormous national displays across India, the Jodhpur festivities were raw and localised. Holi played out across all pockets of this walled city, filled with interconnecting passageways and hill-side tenements in the shadow of the ancient fort. Some of my images are set out here. South Australia's new kid on the block, the Australasian is shaking things up with its fusion and boutique approach to hospitality. I popped by earlier this year to meet the formidable management team steering the Australasian into international waters - as she attracts new visitors into the region from near and far. My latest review for Just Luxe is posted here. I am flying out to India this evening. Next week is Holi - the Hindu spring festival of colours. I am heading up to Rajasthan with Gary Tyson, to shoot the carnival of colours which is set to explode on the streets of the ancient cities. The festival celebrates the triumph of good over evil, the arrival of spring, and the end of winter. As coloured paint and powder fills the air, children run through the streets, women dance and the world becomes pink and red and gold. I am honoured to have been selected to join the Xhibit 2015 cohort, coordinated by the University of the Arts. The exhibition, to be held at the John Jones Project Space in London in May 2015, showcases emerging artists from the London student body, across all disciplines of art and design. A series of my photographs from the Hong Kong 2014 pro-democracy protests will be featured, elevating the notion of 'protest' as heritage, community and solace. Further details to follow. Yes, Sydney - again. I'm often asked how I would while away 48 hours in this photogenic city, and I am always happy to espouse about the glories of sitting on the Manly ferry with a coffee, writing in the brunch bars of Surry Hills, and stomping along the northern and southern cliffs. For my Sydney Top Ten, check out my latest article for A Luxury Travel Blog here. On 18th December, I flew out to Sydney to spend a few days with friends prior to a scheduled Christmas stop-over in South Australia - with the lure of Shiraz country and wild coastal roads. Sydney is one of my favourite cities. I love spending a couple of days in the capital, shuttling around the harbour on the glorious commuter ferries, quaffing Rock Oysters ocean-side and stomping through the CBD - with her old colonial heritage, buxom panoramas and mega-watt sky. This December, I dropped by to check out the Pullman Quay Grand, a boutique hotel, located slap bang in the middle of Circular Quay - boasting enormous views across the bridge and her working harbour. My latest review for Just Luxe can be found here. Sydney is vast - a series of interconnecting beaches and communities. From Surrey Hills to Watson's Bay, each holds fast with an independent identity. There is plenty to explore. Having spent a significant amount of time on the northern side of the harbour, (Manly rather stole my heart back in 2013), this year I headed down to Coogee, just south of the world-famous Bondi Beach, to hang with some friends, hike along the cliffs and flirt with the surf at Maroubra. And yes, we ate some more oysters (here), went for a midnight swim in the coastal pools, and spent many happy hours at brunch spots by the beach. Tim Winton's beautiful coastal memoir played loud in my head throughout those few days. The Hong Kong in Black and White Exhibition opens today at the Hong Kong Cultural Centre (TST). The exhibition features a number of images from Hong Kong based photographers, taken over the last year in Hong Kong and her many islands. The exhibition will be open 9am - 11pm daily. For further information please visit the Culture Centre's website. As the protests enter into their second month of occupation, I look back on the faces and landscapes of the pro-democracy movements here. Now for me, 2014 has been the year of the suitcase, the carry-on luggage and the overnight tote. I have bags under my eyes. Travel-weary, I found myself stomping up Tottenham Court Road in London’s late August. I love the UK, and I miss it. But, it is hard to be a visitor in a familiar city. Having lived and worked in London for a number of years, a two-year stint in Hong Kong has left me homeless and hopeless in the motherland. I needed a base for a weekend. A mere 2 hours in and I was finding the city overwhelming. I was in search of myHotel Bloomsbury, my much needed bolt-hole for the next 24 hours. Standing on the curbside – drenched – and lost, a sympathetic bystander directed me off to Bedford Square. A London hotelier’s landscape is now maculated with the bijous and the boutique. This is a competitive space. Amidst great swathes of non-headline hotels, selecting an appropriate bed for the night has become something of a minefield, even with my knowledge of the city. You usually have to opt for one of the isosceles balance of price, comfort or location. Remarkably (and I think that this is quite a feat) myHotel Bloomsbury has managed to fine tune that stasis. With a formidable location in central London, and a surprisingly modest price point, rooms are spacious, unlike similar London offerings of this size - where cramming people in seems to be a key part of the business plan. This is my second myHotel experience, having spent time at their Brighton offering when it first opened several years ago. Bloomsbury was a very different proposition - understated and subtle. The brash and bold myHotel Brighton is something of a showstopper. I rather liked that myHotel Bloomsbury was not trying too hard. The hotel’s interiors were designed by Conran & Partners - the collaborative design studio founded by Sir Terence Conran. The myHotel brand is strongly influenced by eastern philosophies, and the C&P team allegedly engaged with a Feng Sui consultant to help oversee their development of the space. That said, fresh off the Hong Kong boat, I was not overwhelmed by a sense of the orient. The employment of eastern philosophies in the coordination of the space, perhaps remains intrinsic – and certainly not – overtly aesthetic. To be honest, rather a plus point for me. Breakfast is served in the award winning GAIL’s Kitchen. GAIL’s triumphs are easy to spot all over London, and the formula works. This is exactly where I wanted to boost up my laptop and listen to the chatter. That’s a big tick in my book - I’m on the constant prowl for the world’s perfect cafés. And, yes breakfast is also lovingly curated, with an artful platter of compote and grains, fresh coffee and juice. Artisan and bohemian – this is London at her best. The creative pack are settling in here, moving comfortably within the Conran interiors. Pragmatic and perfect for a pit-stop, this is myHotel indeed. Checking out with a pack of media moguls (sporting Oliver People's lenses), I bounced out of London once again. I'm in Chamonix, France this weekend for the wedding of a great friend. I'm currently sitting on the balcony of my bedroom at the ergonomically delightful Hotel L'Heliopic, deep in the Chamonix valley. Mont Blanc looms large on the horizon. This is a weekend of full festivities. Yesterday, after the dedication of the glorious Riley-Kate, we all headed up the Télécabine de Planpraz (the 'Brévent') to a mountain-top restaurant to enjoy champagne in the sunshine. After a casual evening in the centre of town last night (featuring all of the pejorative French cheese essentials: onion soup, fondue and salade de chèvre chaud), we pottered back to our hotel (nightmares, inevitably, imminently ensuing). The wedding is this afternoon, in the Les Praz part of town. Anna and I will be singing at the ceremony, which is providing us with some stirling focus in our down time (I feel for our neighbours in this hotel, who must also now know the lyrics to various Ellie Goulding songs by heart). With a day to explore we are going to put on our hiking shoes (a new neon purchase from a mountaineering shop close by), and head up the Midi for a bit of a stomp. At 5.45am this morning the Groom and his Ushers (allegedly) embarked on a 7 hour mountaineering adventure with ice-picks and crampons. They have not been seen since. 4pm approaches with trepidation. In March this year, we bounded over to St Petersburg from Moscow, where we were happily hosted by one of Russia's most evocative hotels, which has borne witness to the seismic shifts in Russia's political and social landscapes over the course of the 20th century. One of my great favourites of the year so far (even in the bitter cold). Read about the hotel and the city in my latest post for A Luxury Travel Blog. Fresh from a photographic tour of southern Cambodia, I'm now back in Hong Kong's fierce July heat, awaiting the onslaught of Typhoon Rammasun. With a flight to Chicago booked for the morning, I'm hoping I can just squeeze out before the wild winds ensue. I've spent the last 5 days scootering around on the coastal roads of Kep and Kampot, over dusty tracks and into hidden monasteries, schools and villages. A far cry from the maddening Disney-fied tourisma of Siem Reap. Under the tutelage of formidable photographer, Gary Tyson, we have spent happy, happy hours knee-deep in mud in the Kampot Salt Flats (it's rainy season), chatting with monks (sporting surprisingly ubiquitous i-pods), giggling with young whipper-snappers, and clambering over precarious bamboo poles winding into floating water-side homes. Now armed with my gleaming AFS 50mm, f/1.4 lense, I have a new penchant for portraits.